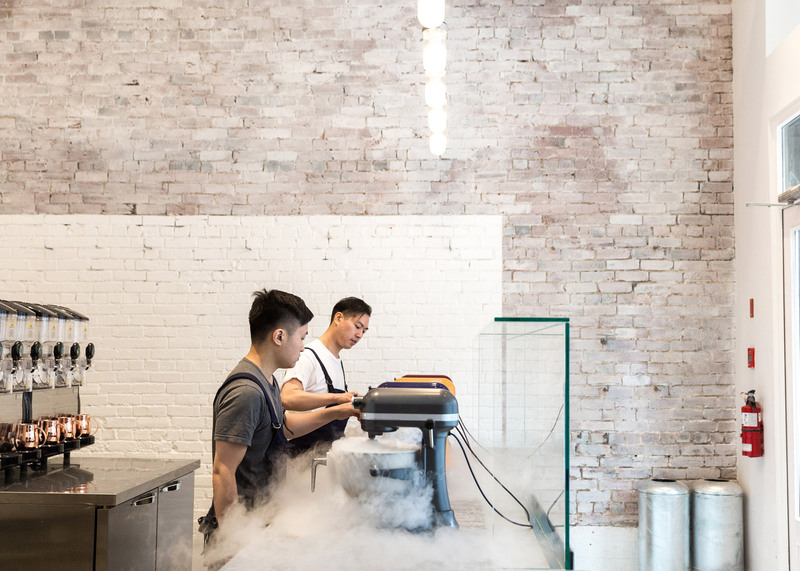 Whitewashed brickwork and galvanised steel surfaces feature inside this old Vancouver warehouse that Canadian studio Scott & Scott has converted into a liquid-nitrogen ice cream shop (+ slideshow). 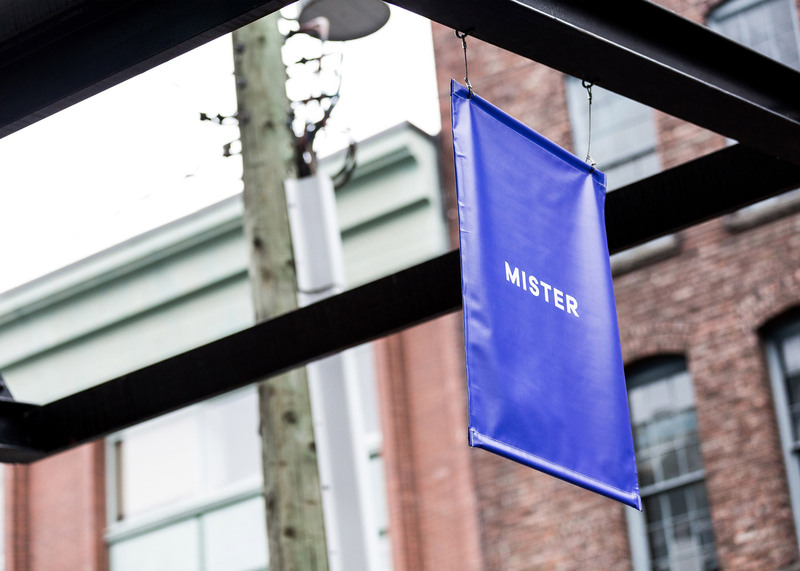 The Mister ice cream store is located in the Yaletown district within what was once the loading dock of a warehouse built in 1912. 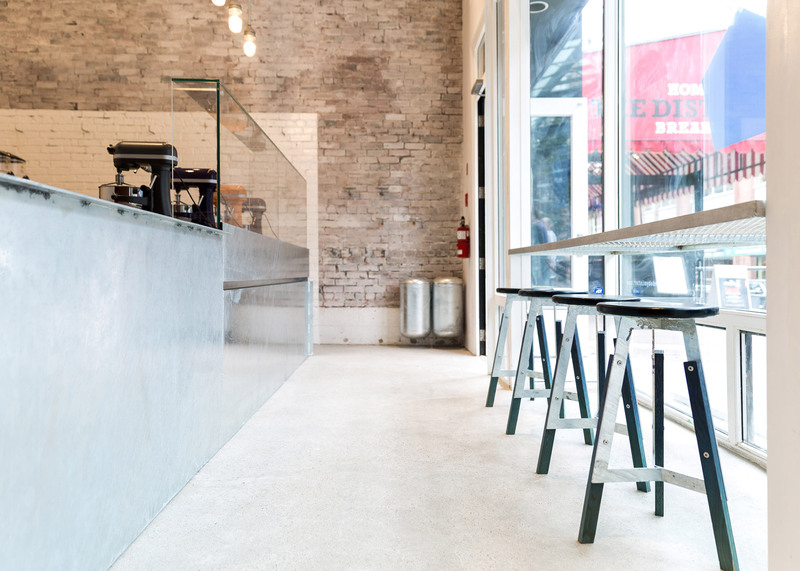 Through the design, Scott & Scott Architects hoped to acknowledge the history of the building while using materials suited to the store's unconventional ice cream-making process. 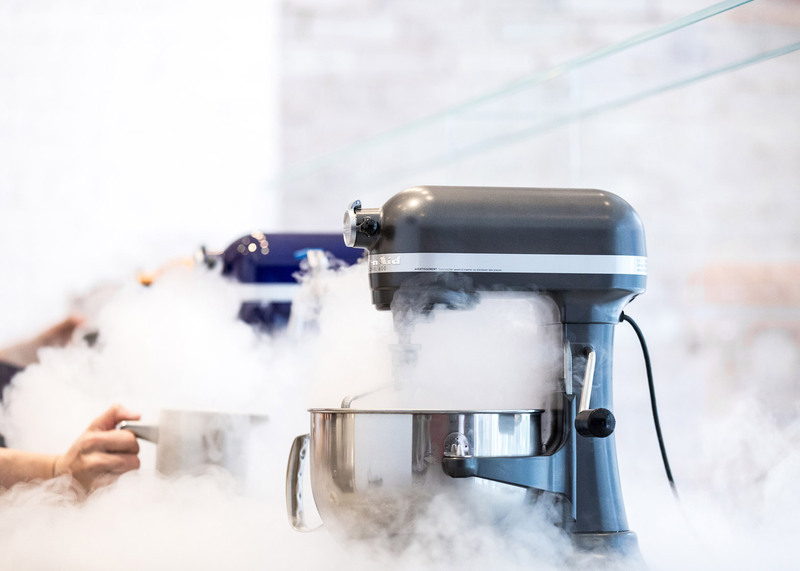 After observing the method on a trip to Asia, the store's owners, Michael Lai and Tommy Choi, decided to use liquid nitrogen to freeze ice cream fresh to order – a process also used at Chin Chin Labs in London. 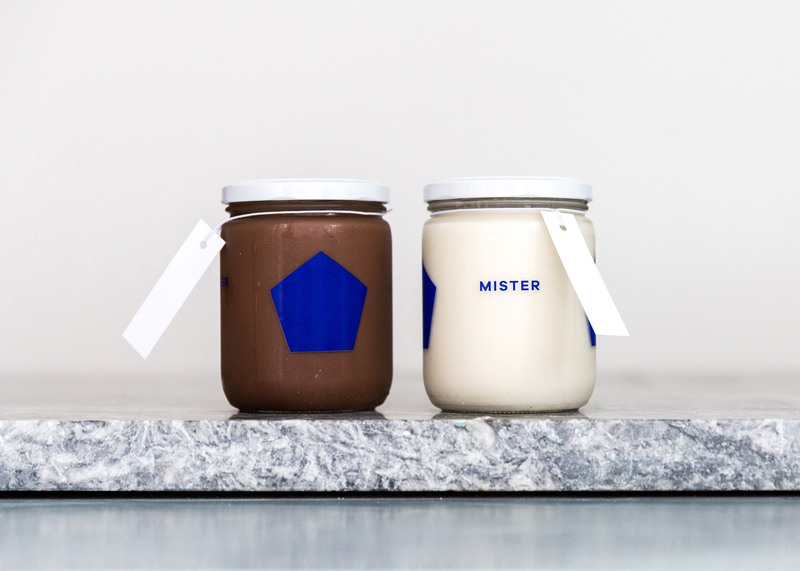 "Materials were selected and treated in a manner which is durable and consistent with the application of their use," said the architects. 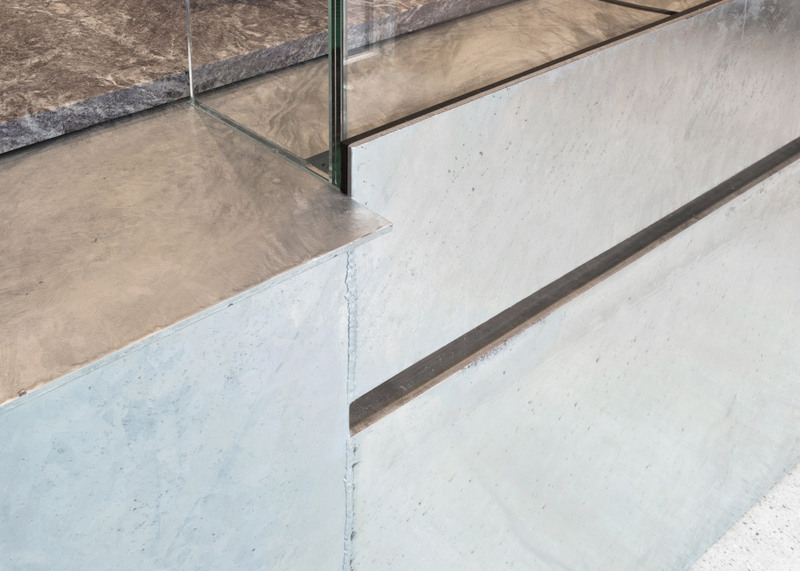 The working island was fabricated from steel sheets and hot dip galvanised as a single element to protect it from corrosion. The steel was chosen to evoke memories of cold. 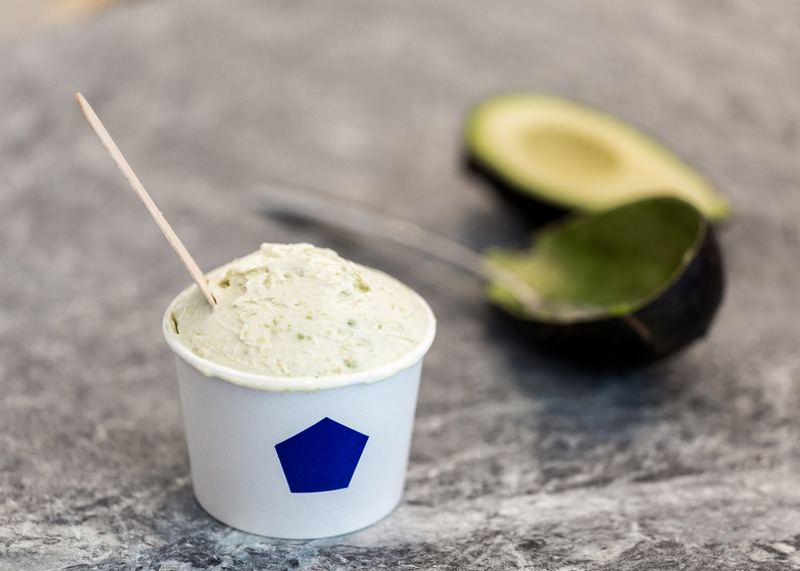 "We often associate the galvanised finish with memories of cold from childhood and that experience of sticking your tongue to the steel guard on a ski lift," they said. 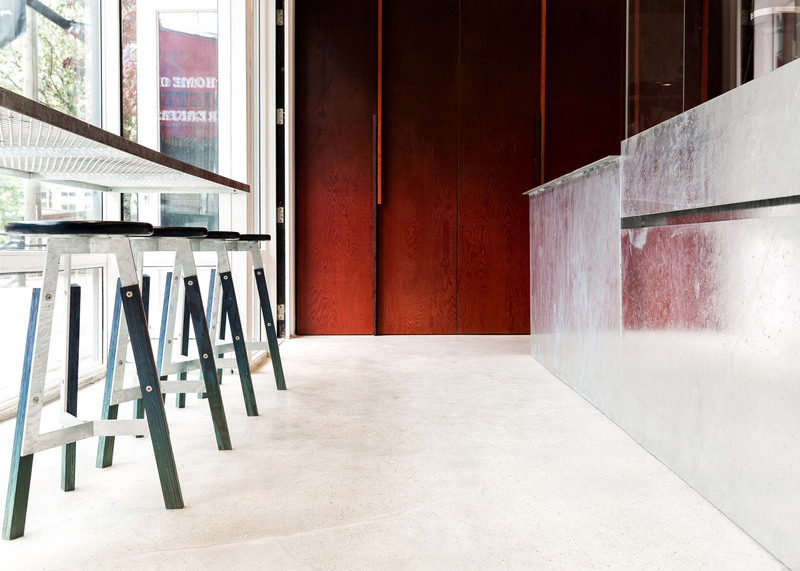 The architects stripped the space of details leftover by previous tenants, including a concrete slab floor. 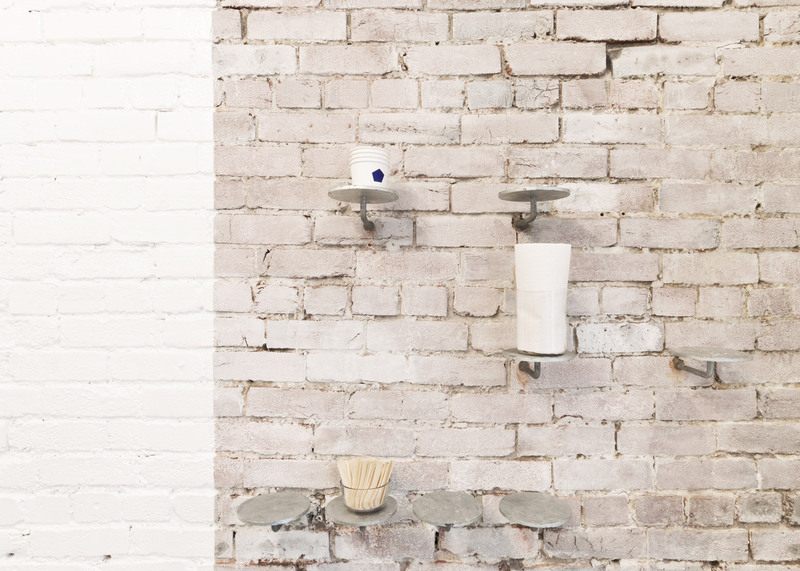 Brick walls were whitewashed throughout the dining area but painted with a thick gloss behind the soapstone counter. 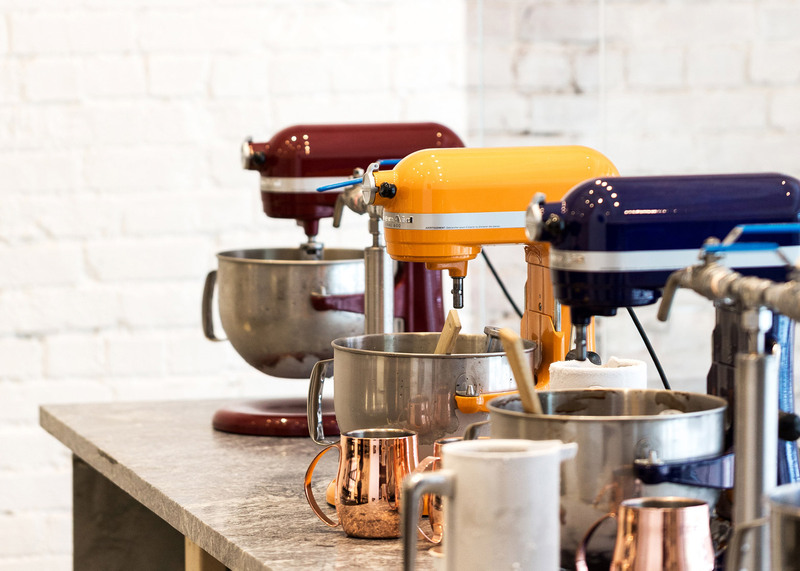 "The soapstone counter used for the food preparation area was sourced from a quarry in Quebec," said the architects. "Soapstone was historically used in laboratories and is well suited to the potential thermal shock that may occur from the -196 degrees Celsius nitrogen." 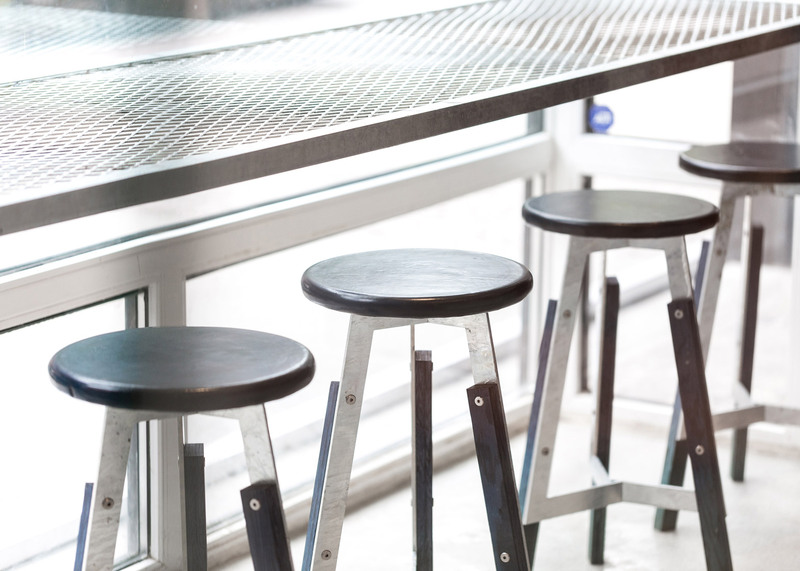 Douglas fir plywood was used to create large, wall-mounted storage cabinets, while stool seating around the edge of the shop was made from moulded leather, steel and wood. Both the wood and leather was coloured using layers of dye applied in a spray mist, resulting in a faded finish. Scott & Scott was set up at the start of 2013 by husband and wife David and Susan Scott. 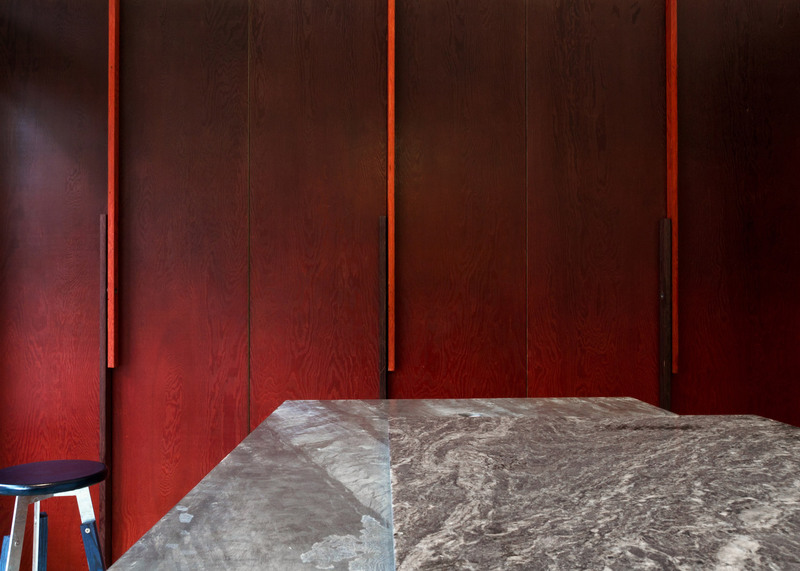 Since then, the duo has also designed the interior of a pan-Asian restaurant in Vancouver and a mountainside cabin in Whistler for a family of snowboarders. Photography is by the architects, unless otherwise stated.